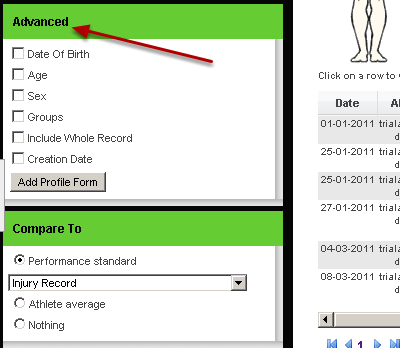 Creation Date will show the date the event was actually entered into the system and who entered it. 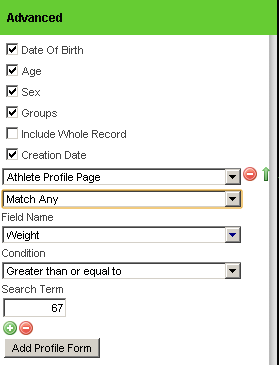 The Advanced columns appear first and then the event report settings columns appear next. 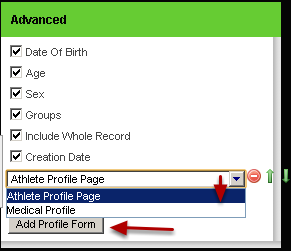 To Include specific Profile Data click on the "Add Profile Form"
To add a profile form and include all of the fields from the athlete's profile page into the report (as shown in the image in the step below), just select the profile you want to include. 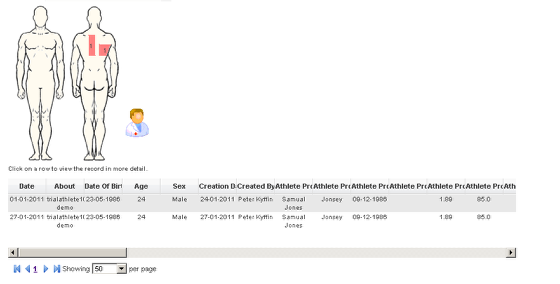 For this example we only want to see records for any athletes who profile record shows that they weigh more than 67 kg's. 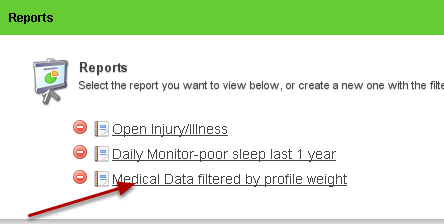 You can use any filter you require for your report. You can save these report properties (e.g Advanced, Field and Event settings) using the Save button and load up the report next time you require it.